The optional all-metal sunshade ensures a brilliant image even in intense sunlight. A second sunshade can be affixed via a second screw thread to increase its effectiveness in reducing stray light. 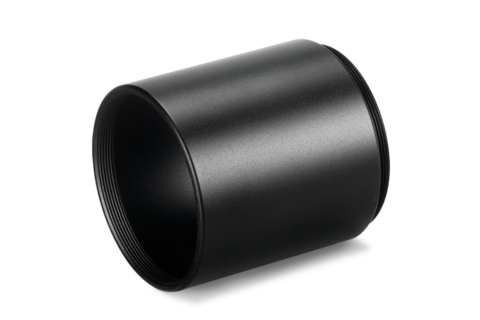 The interior thread (1.93 in x 0.03 in/46 mm x 0.75 mm) can be used to attach special filters. Measuring 1.97 in/50 mm in length, the sunshade is anodised aluminium.